Join us on Wednesday, April 6th at 7:00 PM ET for a Training Webinar where Don will share with you, many of the subject-to strategies, tools and techniques he uses every day to create winning deals for himself as well as his buyers and sellers. Don will walk you through real world, actual deals, step-by-step to demonstrate how to apply and use the “subject-to” technique and other related strategies. Don will show you exactly how to evaluate your leads, determine your exit strategy, structure the deal, negotiate with the seller and get the paperwork done almost instantly and without any of the hard work you’d normally do to get your deals done. How to use Don’s proprietary deal analysis tools to negotiate for you, so you never let your emotions talk you into making a bad deal! So please Register Now and Join Us on the Webinar on Wednesday, April 6th at 7:00 PM ET and learn how to buy all the pretty houses you want without using your own cash or credit! There’s more…. if this is not enough, Don will be back with us on Thursday, April 28th for a Full Day Online Workshop called “How to Jump Start Your Creative Real Estate Investing Business” to really drive these points home and give you all the subject-to details you need to succeed in the Pretty House Business. Once you are armed with Don’s training and the tools, you will be able to do deals you never thought possible! If you want to learn more about Wholesaling, join us on Wednesday, April 13th at 7:00 PM ET for a Training Webinar where Don is going to teach you Wholesale Strategies you need to succeed and take you step-by-step through the entire wholesale process. So please Register Now and Join Us on the Webinar on Wednesday, April 13th at 7:00 PM ET and learn how to find and flip all the run down houses you want without having your own cash or credit at risk! There’s more… if this is not enough, Don will be back with us on Friday, April 29th for a Full Day Online Workshop called “How to Jump Start your Wholesaling Business” to teach you everything you need to get your Wholesaling Business up and running fast. Once you are armed with Don’s training and the tools, you will be able to make more money than you ever thought possible! 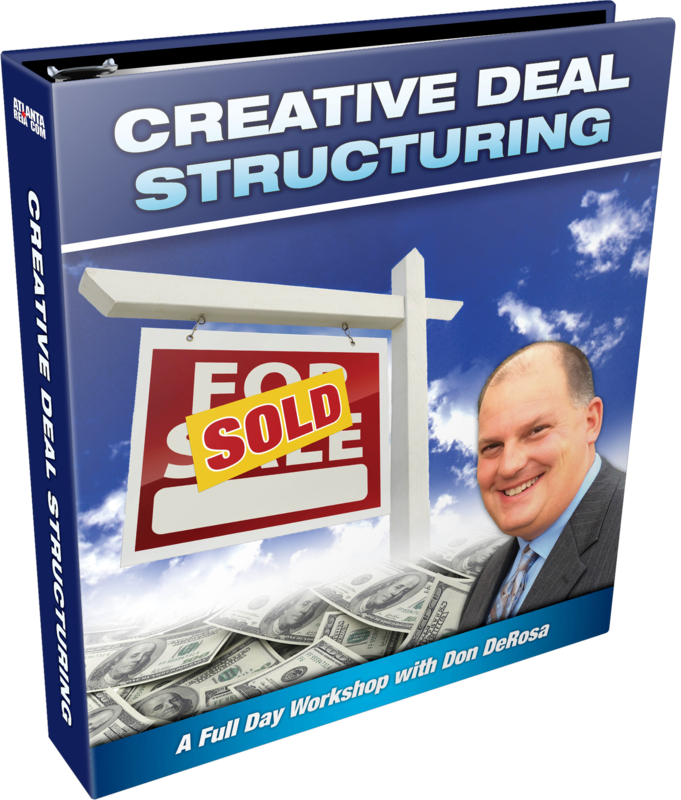 Creative Deal Structuring Workshop with Don DeRosa. Attend In Person or Online! Tuition includes Don’s Previously Recorded 2015 CDS Workshop + his “Easy Offer Maker” Deal Analysis Software! When you come across a lead, do you know how to look at the information, analyze it and determine what to do with it from there? There is nothing worse than losing a deal because you didn’t know multiple ways to structure the deal and how to present multiple offers to the seller. Would you like to learn multiple ways of how to structure each deal you are considering buying? 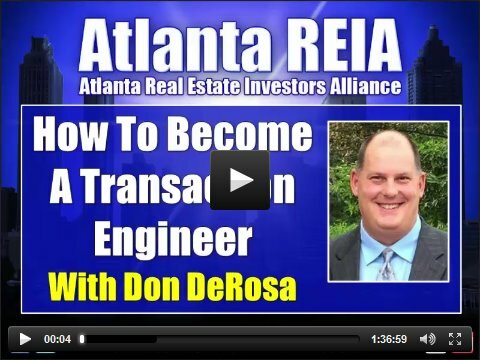 This is exactly what Don DeRosa will teach you how to do at his upcoming workshop. …where he will be discussing deals all day long and going over how each was structured to solve the seller’s problem and create win-win situations. Be sure to Download Don’s Property Lead Sheet, call as many sellers as you can and bring as many completed Lead Sheets to class as you can and Don will analyze your deals in class and help you figure out how to structure them! 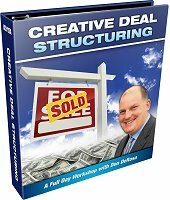 Don’t miss this great opportunity to learn about creative deal structuring from an expert real estate investor who lives right here in your backyard! You will get back more than double your cost of tuition! Don’t let this one-time offer pass you by! Register for the CDS Online Workshop here with GoToWebinar.com or click the large registration graphic below which will redirect you to GoToWebinar.com to register. After you register, you will be redirected to a payment page. Pay for the event on the payment page and we will manually confirm your order and send you your Registration Confirmation Information via email within 3-12 hours of your order and in plenty of time for the Online Workshop on Saturday. Download the March 2016 Edition of The Profit Newsletter Now! The March 2016 edition of The Profit Newsletter is now available for download as a High Quality PDF (print quality) or Low Res PDF for mobile devices. The Profit Newsletter is the official newsletter of the Tampa Real Estate Investors Alliance and is a digital, interactive newsletter for serious real estate investors delivered as an Adobe PDF file to read on your computer, tablet, or smart phone with a PDF reader. Many of the articles and ads in The Profit contain hyperlinks you can click to get more information online. The high res version of The Profit is “print ready”while the low res version may load faster on your mobile device. Also, be sure to Subscribe to The Profit so you don’t miss a single monthly issue. The IRS is very interested in Self-Directed IRA’s (“SDIRA’s”). They are especially interested in IRA’s that invest in real estate or via trusts or via “Checkbook LLC’s”. How do I know that? Two reasons. First, several IRS employees have very directly told me so. Second, the IRS has recently changed its reporting requirements in search of this very data. Specifically, every IRA is required to file Form 5498 once per year. That form tells them the value of your IRA. As a flipper, I tend to think a lot about the people who are going to be living in the home I created for them. I’m thoughtful about the products I use while being mindful about the budget. But it all doesn’t mean a thing if I can’t generate buzz about a property. I used to do a lot of research about neighborhoods and comparison shop. But doing all that on my own using a variety of different resources eats a lot of valuable time. Zillow is a popular website for both Realtors and those seeking a home. It has become a valuable resource. In their efforts to grow the brand, Zillow has made an app in addition to features on the desktop and mobile website. Welcome back! Last month I told you about the stigma behind the word “flipping” and how some are considering it to be illegal. Flipping houses is not illegal. Fraud is. What does lender fraud have to do with flipping and the stigma some of the media have placed on it? Some lenders have had so many loans default on lower priced properties sold by investors it’s opened their eyes and made them cautious, and justifiably so, if I were a lender making loans at 80%-100% of the purchase price, I’d be cautious too. In fact, I’d be paranoid, but then again I’d be neither because I’d never even consider doing it. In the world of real estate investing, private lenders and real estate comps generally go hand in hand. However, many may be unfamiliar with private lenders and what they bring to the real estate industry. I have to stress real estate investing using REIAComps to see all the private money and cash buyers is invaluable. Every new deal you do is instantly easier knowing exactly who to call when you need funding. But there is more to this topic of private money. To succeed at real estate investing, or business, or life, requires bone – the right kind of bone. Your career in real estate is like a marriage. If you let it get boring, you’re going to make mistakes. If you don’t build it on a solid foundation, it will fall apart. In both cases, you might just lose a lot of money! So how do you keep things new in real estate? You challenge yourself to be inspired; you stay eager to learn new things. Do I follow my own advice? YES. Recently I took two real estate courses, and I am renewed. I am excited! These classes will help my success, and I want to share the information with you so that you can be inspired too. In this series of articles I am going to teach you the art of using Master Lease Options to purchase real estate. I don’t know how many articles it will take to convey all the info I have…so stay tuned! A master lease option (MLO) is a form of creative financing most often used to deal with distressed assets. I buy and teach commercial multifamily real estate so these articles will be about “master” lease options. If you are investing in single family deals then you would use a lease option. The “master” part only comes in when you are dealing with multiple units at one time otherwise it’s a lease option. You can use the info I am going to teach here to buy single, multi or any type of real estate asset. The last several months have been huge for real estate investors and homeowners who are fighting back against the banks. Court case after court case has been decided in the homeowners’ favor, and things are only looking better going forward. JPMorgan Chase has just been ordered to pay an additional $48 million in fines for using fabricated documents and now we find out that since 2014 the banks have been buying rescission insurance. But what does all of this mean for real estate investors? It’s a LOT more common than you might think. Many doctors label it as a ‘disease,’ and often prescribe medication as a way to make their patients feel “normal” (whatever that is). It can drive teachers crazy, and make many seemingly normal people feel like there’s something wrong with them. Of course I’m talking about ADHD: Attention Deficit Hyperactivity Disorder. Did you know that it’s a very common trait among entrepreneurs?? 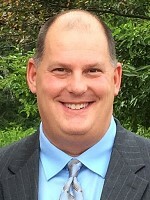 John Hyre is a tax attorney, accountant and real estate investor with 20 years of experience. 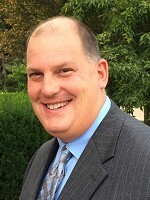 He consults with real estate investors, small business owners and self-directed IRA/401k owners nationwide. He also represents taxpayers in audits and in Tax Court nationwide. 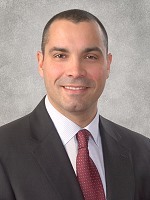 He frequently speaks nationally on the topic of taxation of self-directed IRA’s/401k’s, taxation of real estate & small businesses, and asset protection. John invests in low-income single family houses, mostly in Columbus, Ohio.